Those moments when all my school aged kids(12,10,7,5,3, and baby) are happily sitting around the table doing their school, are sometimes few and far between in our homeschool. I often take pictures of them while they are busy to record that they do indeed sit still sometimes. But for the most part my kids are very actively chasing after butterflies, running after each other or climbing up trees in between their bookwork. Homeschooling affords us the great gift of freedom; freedom to be structured or spontaneous as needed. It allows us to learn in the different seasons of our life when it's hard to have a routine and those seasons when we thrive by having a schedule. When I first started homeschooling I did almost everything exactly as the public school system. I took off when they took off and started when they started. 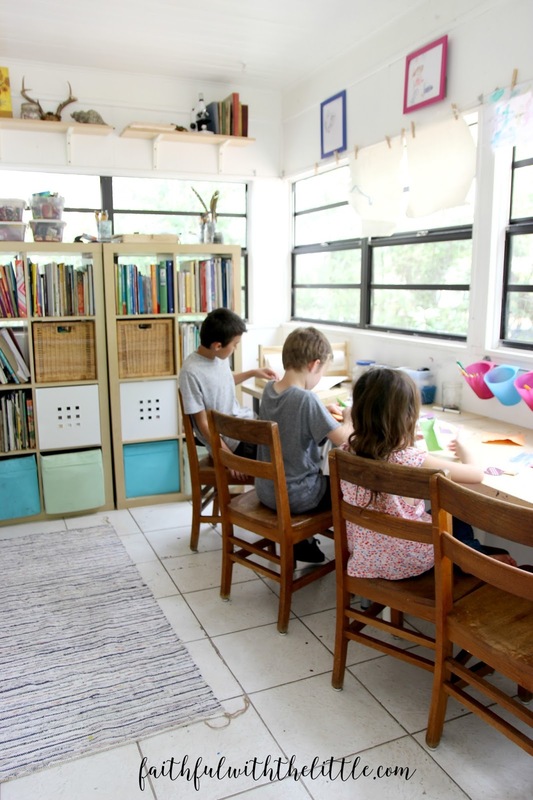 It's been seven years since we started homeschooling and things have changed quite a bit as we are learning what works best for our family and how I and my children learn best together. I have come to realize over the years that one of the reasons we homeschool is not to be like the public school system or other homeschoolers. It has taken so much pressure off of me to not try to live up to the school systems' or anyone else's standards of what school looks like. When I start focusing on what is best for our family, I find such peace, relief and rest. But when I start focusing on what the world thinks, anxiety starts to whelm up within me and I am anything but at rest. As I have struggled, especially these past several months as our lives have been a bit crazy with putting an addition on our house and having a baby at the same time; I have been so encouraged by Sarah Mackenzie's book "Teaching From Rest" A Homeschooler's Guide to Unshakable Peace. Her whole book is quote worthy and I have pretty much highlighted and underlined all of it, but I wanted to share this excerpt that has been confirming what God has been speaking to me and encouraged me greatly. "It is easy to forget that teaching is a holy work. The building up of intellect- teaching children to really think- does not happen by the might of human reason, but rather by the grace of God. On an ordinary day, you and I likely have a set of tasks we've scheduled for our kids. But it's more than math. It's more than history. It is the building up of our children's minds and hearts, and we can only do that if we realize that this is how we thank Him for the graces he so lavishly pours upon us." I can't tell you how much these words have been reaffirming what God has been speaking to my heart and my desire for my children's education. I worry the same as everyone else that my kids will keep up and will pass their prospective college entrances. I plan and strive to give them the best education that I am able. I fail in many areas and often feel guilty that they are not learning this or that. And although I, like you want my children to have great academic achievements; most of all I want them to grow in the likeness of Christ. I want them to learn what it means to be a servant. I want them to learn how to be responsible and share in the responsibilities of our household. I want them to learn how to live alongside of their siblings. I want them to know the value of hard work. I want them to know that success isn't measured in a grade average or completion of all their curriculum. I want them to really know how to multiply and add and use it in real life situations. I want them to have manners and be kind. I want them to grow into responsible adults who will go out into society someday and by God's grace be ready for real life situations. This year has not been the greatest for us academically, but in terms of growing and learning as a family it has been amazing. We have seen how God has answered our prayers that we have been praying during our morning prayer time. We have had to work through difficult situations and learn to be diligent with school work even when it hasn't been easy or comfortable as we lived through construction. We have had to become creative with our days and flexible when our plans got rerouted and changed. The kids(mostly the older boys) have been able to come alongside their Dad during construction and learn useful skills that will stay with them for the rest of their lives. They have also helped their Dad who is a beekeeper, harvest honey and put bee boxes together. They have come alongside of me as we brought home our beautiful 6th addition Ahava, and have picked up a lot slack with holding her (or rather fighting over who can hold her) cooking meals, helping with little siblings and taking on new chores. They have taken their own initiative to learn about the things that excite and interest them. They have spent their own money on butterfly books, mounting equipment, butterfly nets and shadow boxes and have researched how to mount butterflies and insects properly. Not only have they learned everything there is to know about Florida butterflies and moths but I have too in the process. Whenever I start to worry that they are missing our academically I think about how much they aren't missing out on and I couldn't be more proud and thankful that we homeschool. Not only do I see them learning and growing but I know that I am the one learning the most through our homeschool journey. I am learning that when I think I can't do this, that I'm right...but God can. I am learning that when things get hard it's an opportunity for me to grow and become more self disciplined. I am learning that when I can't figure things out I can go to others for help and advice. I am learning that I don't have to stick to the same thing if it's not working. And I am learning that I can learn a lot from my children. There are many days that I can hardly put food on the table fast enough, clean the latest spill, or referee a sibling dispute...let alone put in a day of school. But you know what? On those days when I just hunker down and focus on getting in a full day of school, I find somehow that we actually get more done then when we don't have a schedule and aren't doing school! I know! It doesn't make sense! Homeschooling has become so much more than just doing school at home. Homeschooling has become an integral part of our lives as we are learning how to work together as a family. There are many days that I wish I wasn't with my kids so much, but for most of time I feel like 24 hours is still not enough and wish I could slow time down. So many older people tell me when we are out and about that they miss these years with young ones and I know I will too. Homeschooling not only gives my husband and I the opportunity to teach our children but to learn and grow alongside of them... and we are learning a lot. What are you favorite aspects of homeschooling? 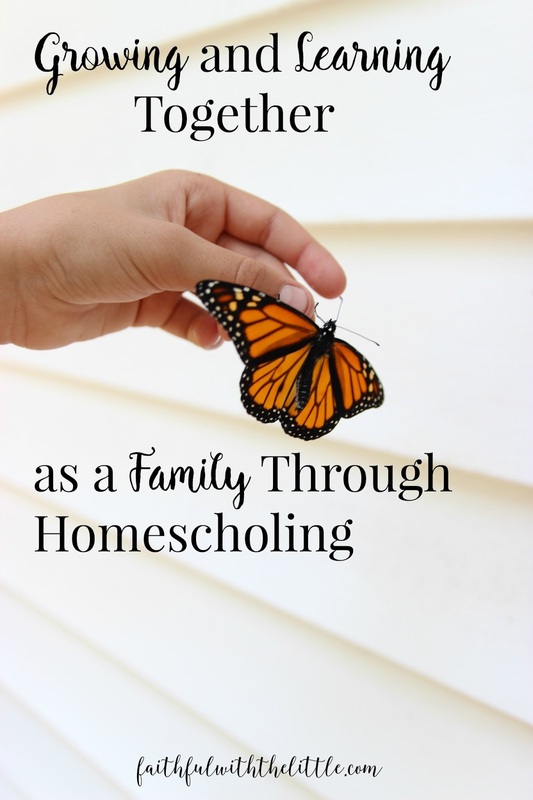 Have you grown together as a family through homeschooling? What does homeschooling mean to you? 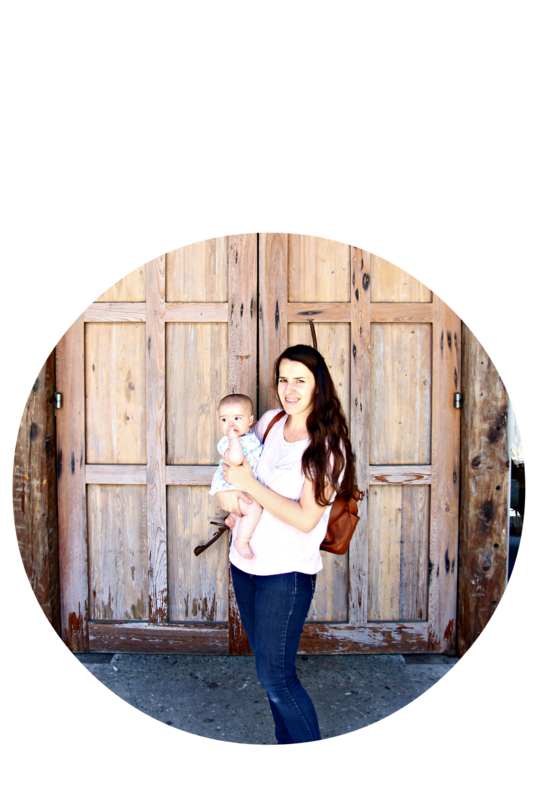 Do you struggle with mom guilt and worrying about keeping up? 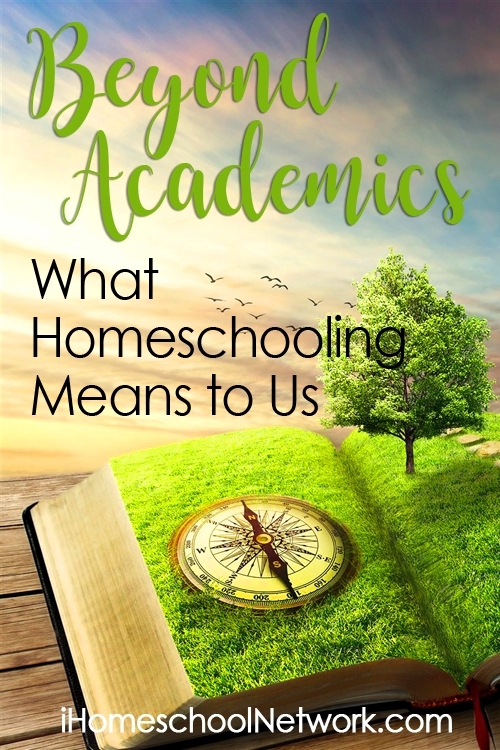 This post is part of a series at iHomeschool Network Beyond Academics: What Homeschooling Means to Us. Click on the picture and check out all the other great posts!